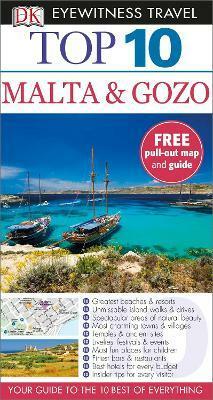 An unbeatable, pocket-sized guide to Malta and Gozo, packed with insider tips and ideas, colour maps, top 10 lists and a laminated pull-out map, all designed to help you see the very best of Malta and Gozo. Step back in time at Malta's Hagar Qim and Mnajdra temples, marvel at the interior of St John's Co-Cathedral in Valletta, explore the historic streets of Mdina in Gozo or laze around the Blue Lagoon in Comino. From Top 10 restaurants to Top 10 areas of natural beauty, discover the best of the Maltese archipelago with this easy-to-use travel guide. Illustrations note w. numerous col. ill.